Apollo Butterfly, Rotter Apollo, Apollon Papilion, Аполлон обыкновенный, Ապոլոն. The species is mostly distributed in temperate belt of Eurasia. The host plants are Sedum and Sempervivum species. Armenia is inhabited by subspecies kashtshenkoi Sheljuzhko, 1908. In Armenia the species demonstrates patchy distribution mainly in Central and Southern Armenia, where it occupies mostly subalpine meadows and grassy slopes. At Tsaghkounyats Mountains (in Central Armenia) it inhabits also upper zone of deciduous forests. The elevation range occupied by the species is from 1800 to 2800 m a.s.l. Flight period begins in mid (sometimes early) July and lasts until end of August in single generation. The abundance of the species is low to moderate, the population trend during 2003-2013 shows moderate decline (p<0.01). Basically the only type of human activity in the areas of species distribution is livestock husbandry, however the host plants of the species are not directly affected by livestock grazing. Despite on that the overgrazing can have an indirect negative effect on entire habitat, causing soil erosion and therefore can provoke general decline of the species. The species is also a popular object of wildlife trade, and therefore non-regulated collection on a commercial scale can potentially have the negative influence as well, however there is no information about volumes of the species collected. 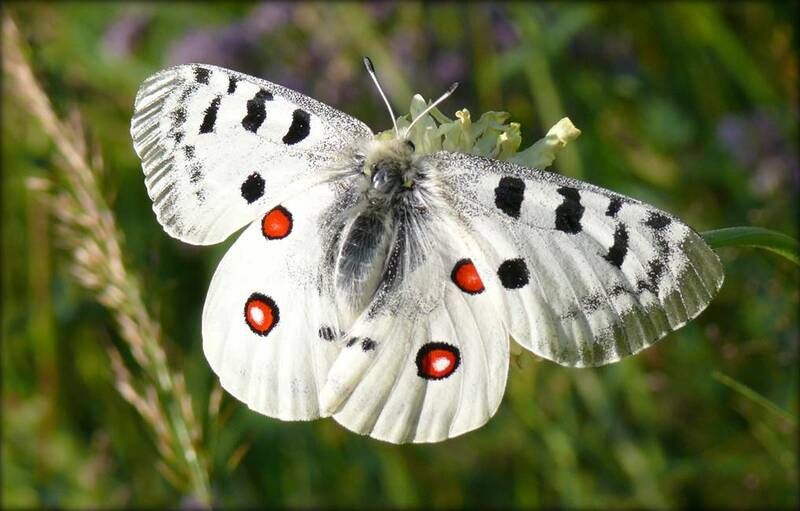 The species is included in IUCN Red List, in European Red List, and in the Red Book of Animals of Armenia. Also the species is included in CITES and in the Appendix II of Bern Convention. At current, a minor part of its range in Armenia is covered by Protected Areas and Emerald Sites, while the bigger portion at Tsaghkounyats and Pambak Mountains doesn't have a protection status. To protect the species it is important to expand the network of protected areas of Armenia, including its habitats at Tsaghkounyats and Pambak Mountains either as of National priority or protected under Bern Convention. The next step is a development of management plan for those areas. Development of the network of Prime Butterfly Area can become a first step in the process of habitat conservation of the species. In addition, it is also necessary to study the volume of collection of the species and to respond accordingly.